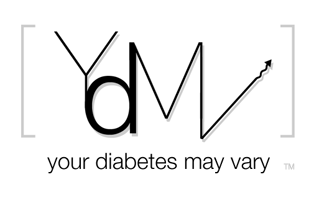 Your Diabetes May Vary: Type 2 Autoimmune - Say What? A Standford / U of Toronto study suggest that type 2 may have roots in an autoimmune process. Nearly all type-2 diabetes drugs marketed today are designed to control a patient’s high blood sugar levels — a symptom of the body’s inability to respond properly to insulin. However, the researchers found that anti-CD20, which targets and eliminates mature B cells, could completely head off the development of type-2 diabetes in laboratory mice prone to the disorder and restore their blood sugar levels to normal. As I understand this release, and let me be clear - I don't understand it, T cells and B cells inflame fatty tissues. This results in fat cells growing so rapidly that they exceed their blood supply and begin to die. To clean up the dieing cells the immune system creates macrophages. This process of inflammation, dieing and clean up inhibits the remaining fat cells ability to respond to insulin. The significance is that this suggest a new process for type 2, an autoimmune process. The study suggest treatments based on this autoimmune reaction that are new ways of addressing type 2, specifically an antibody called anti-CD20. This antibody is already approved for use in humans to treat some blood cancers and autoimmune diseases. As regular readers may have guessed, mice were involved in the studies. How this translates to humans is an open issue. This statement warented it own paragraph in the relaease: "Despite the treatment’s effectiveness in mice, the researchers caution against assuming rituximab will work in humans with established type-2 diabetes." This isn't the first study to make the connection to autoimmune type 2 diabetes, but it does raise eyebrows - I addressed the use of those powerful cancer drugs in my own post today. This may hold some promise but until they perform clinical trials on humans it is really hard to draw any conclusions. Until then exercise and a healthy eating plan are still the best medicine for diabetes.